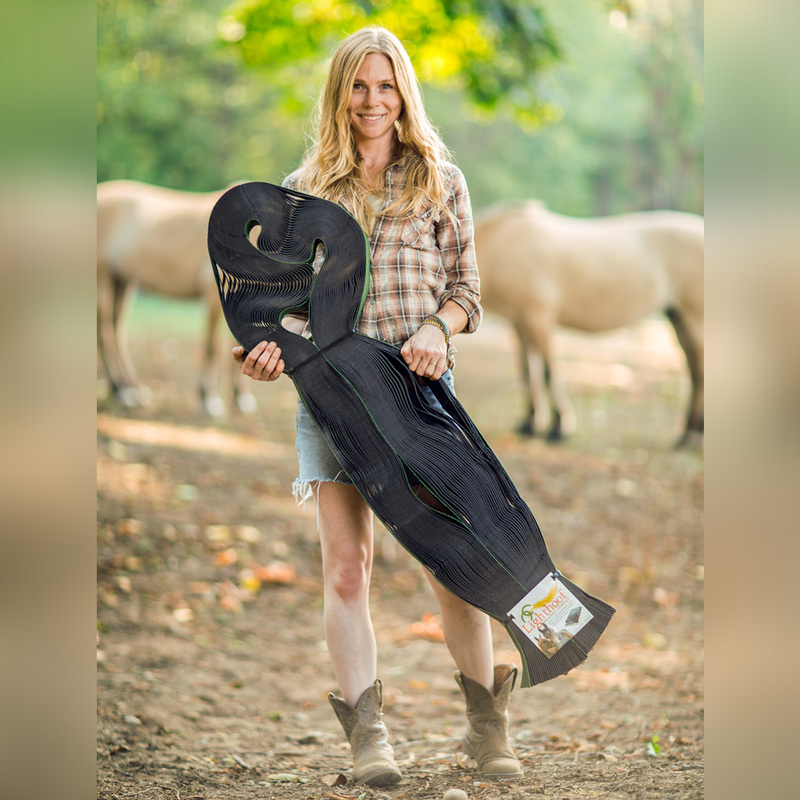 Lighthoof's patent-pending mud management panels quickly and effectively solve a challenging issue that most horses and farm owners experience for more than 7 months out of the year... deep mud in paddocks, pathways and gate areas. 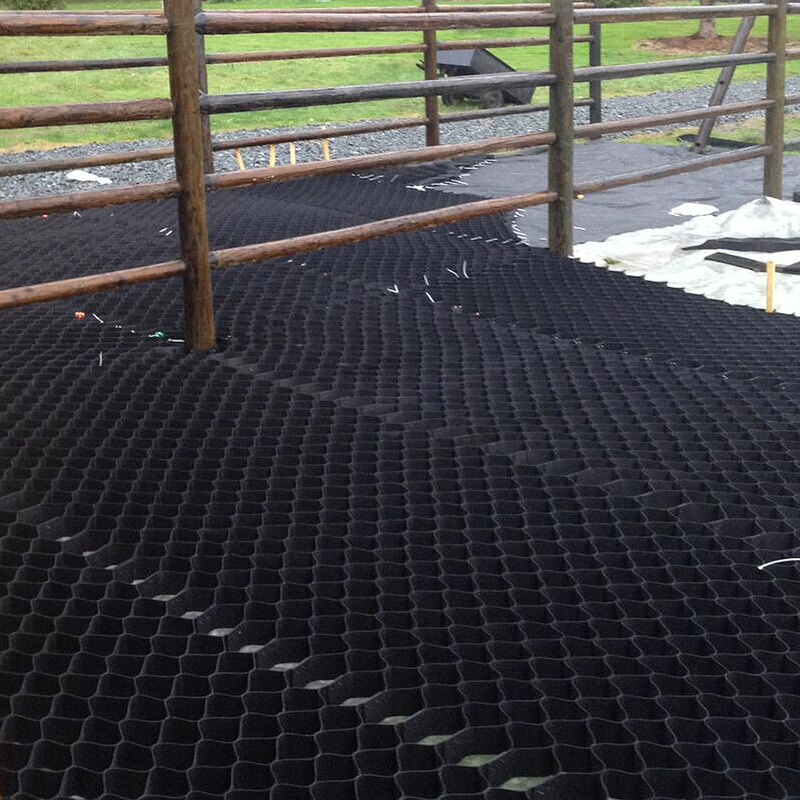 The innovative design prevents mud and erosion caused by hoof traffic and wet weather. 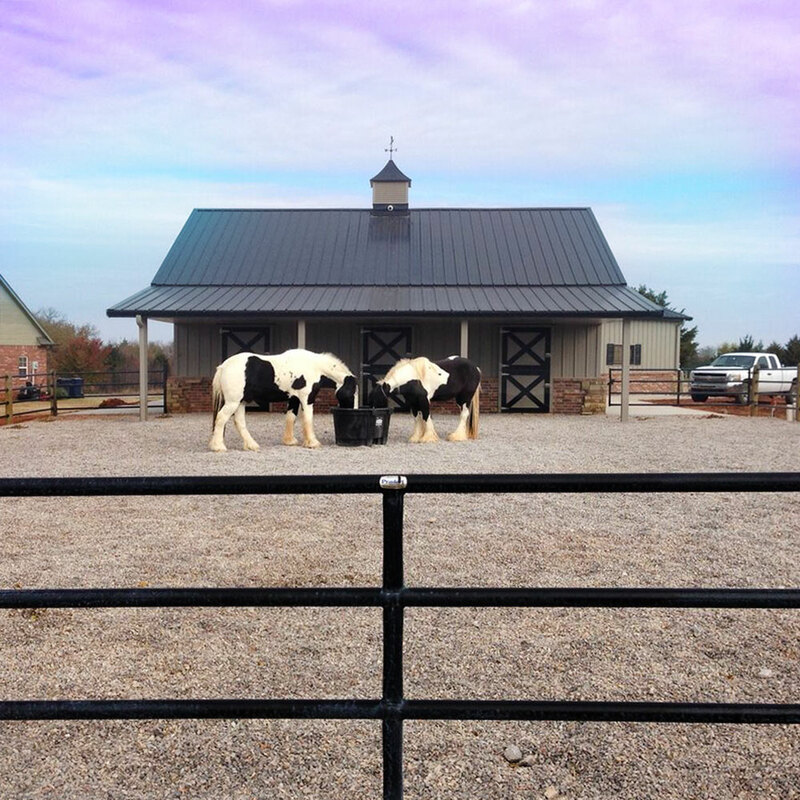 It's suitable for every farm, from high-end professional facilities to the modest home ranch. 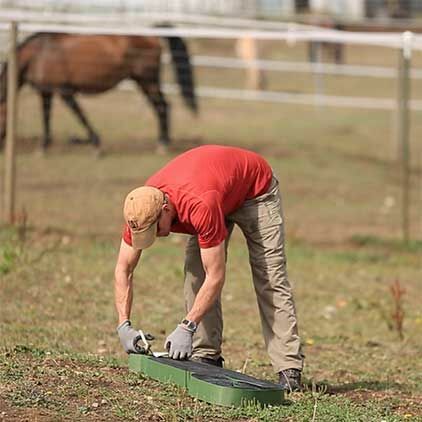 Due to its unique flexibility, Lighthoof is by far the easiest paddock base material to install. 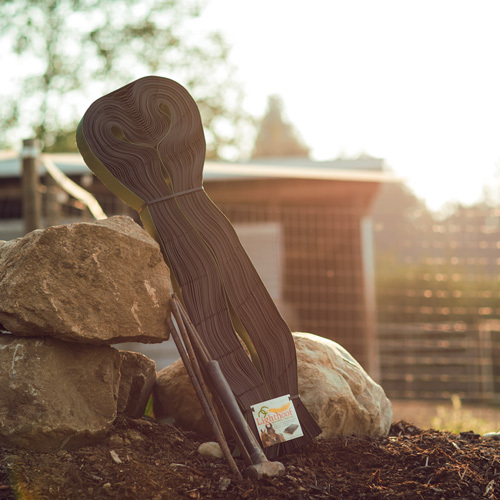 It conforms to uneven or oddly shaped areas and to sub-base grades. 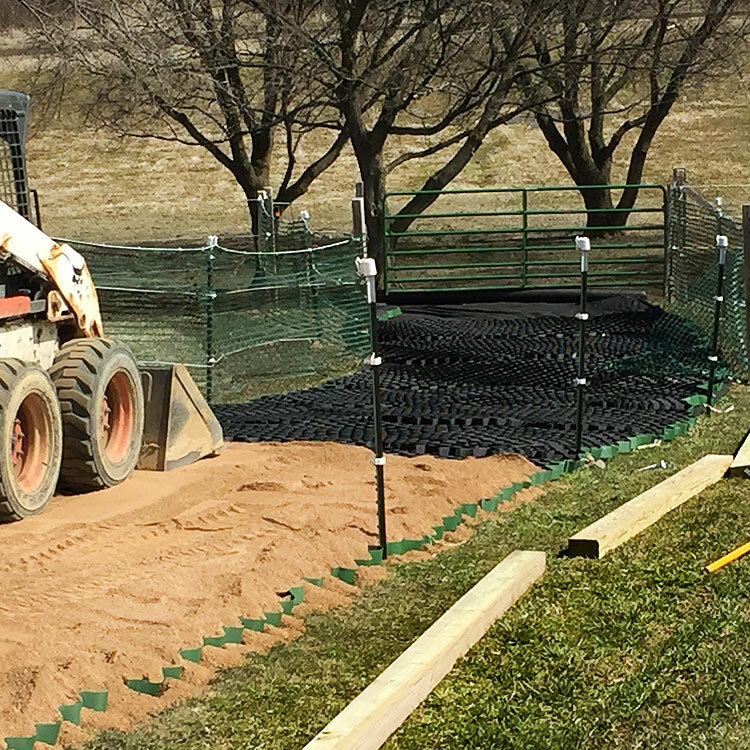 This allows you to work with existing terrain or to the crown or slope areas for better drainage, reducing the time and money spent on sub-grade preparation. 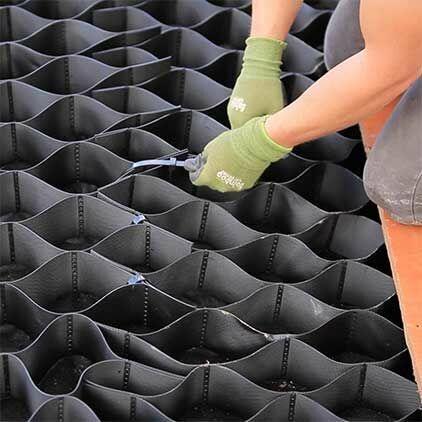 Lighthoof is made from flexible plastic strips, not hard plastic tiles. 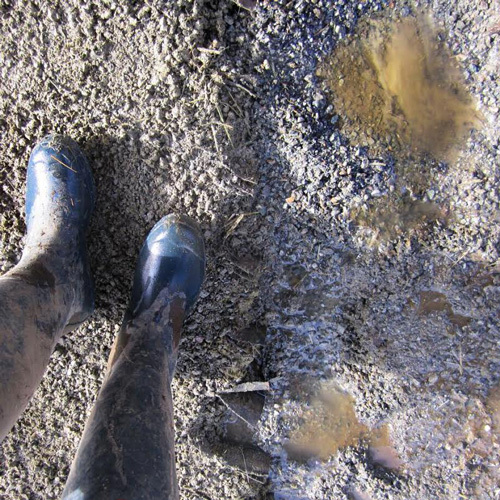 By conforming to your existing terrain, Lighthoof is the only product that can lie right over your existing muddy ground. 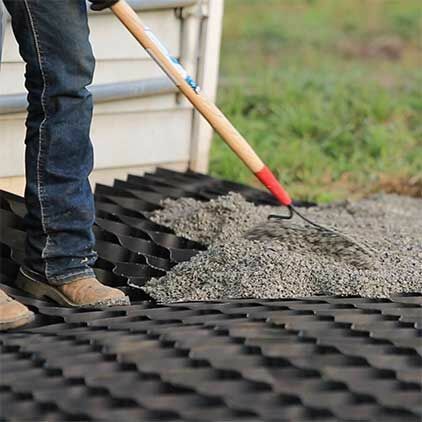 There's no need to excavate or create a compacted gravel layer underneath. 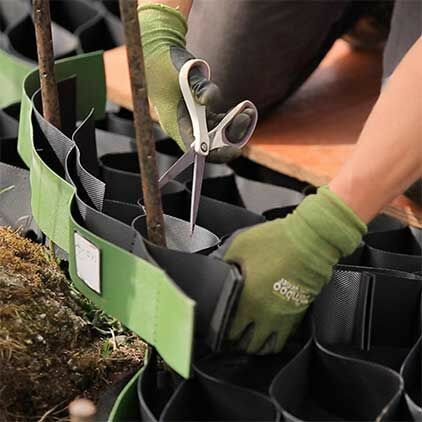 You can install it on steep slopes, around trees, and over roots, through shallow ditches and on lumpy ground. 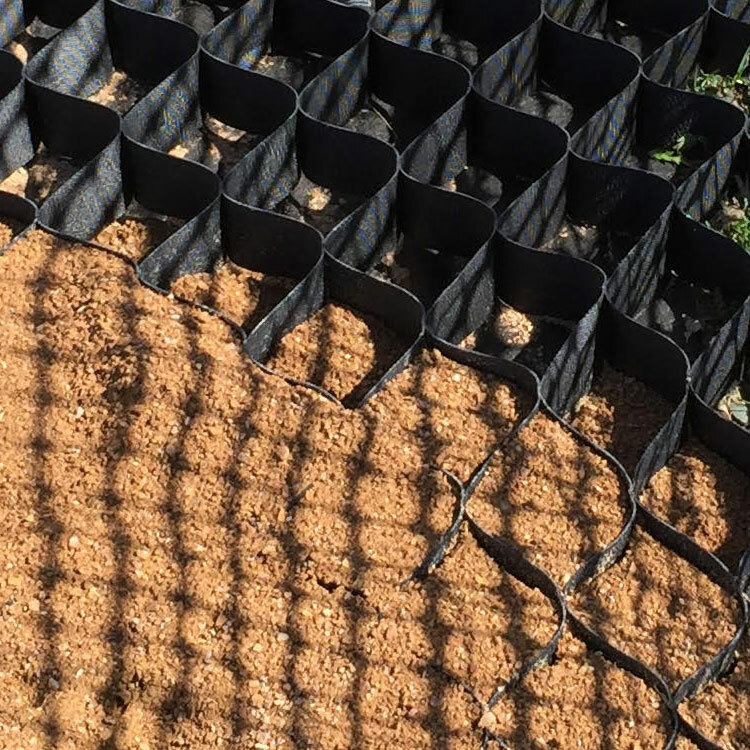 Lighthoof can also be used to create supported open drainage features within your area, a huge benefit for maintaining your surface flow. 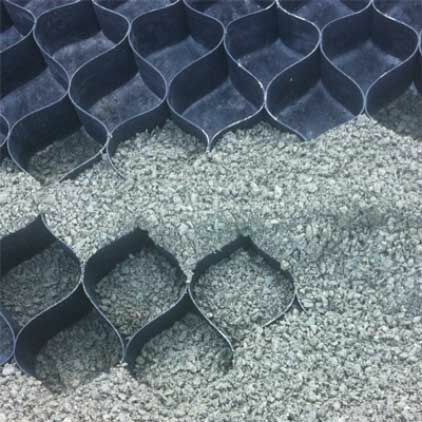 Lighthoof's flexible high-density polyethylene (HDPE) panels confine the gravel footing material in a series of 3" deep interconnecting cells. 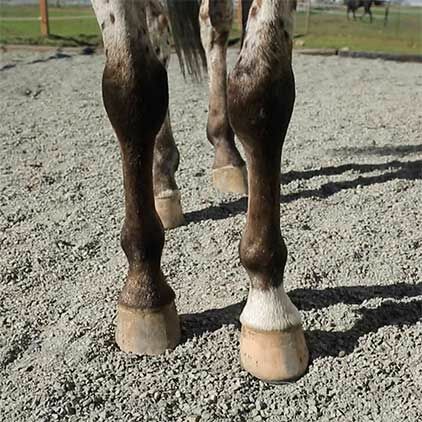 This limits the displacement of gravel from the downward action of the hooves and holds the footing in place against erosive forces such as heavy rainfall from other areas. 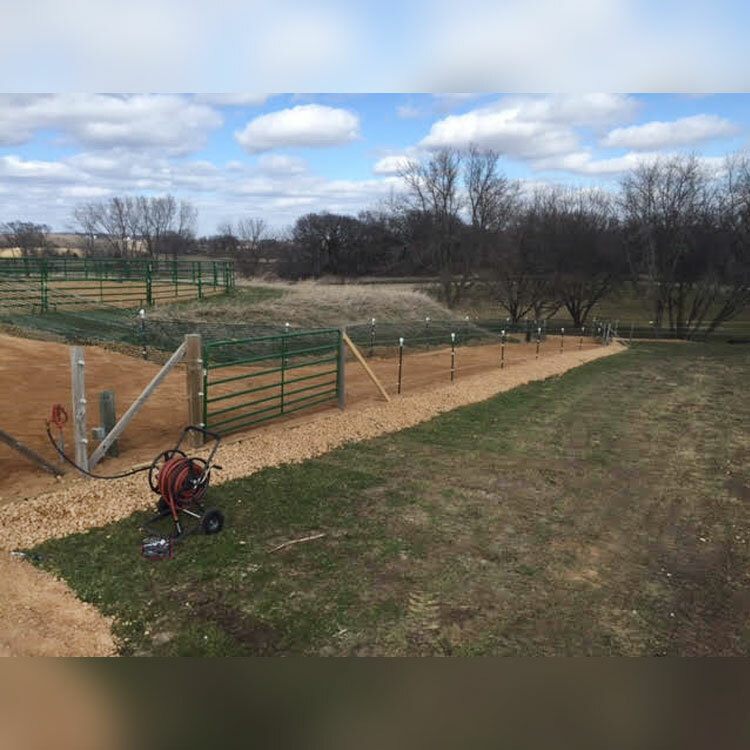 Our flexible plastic mud management panel can be filled with any type of angular crushed rock to provide superior stabilization to the paddock footing. 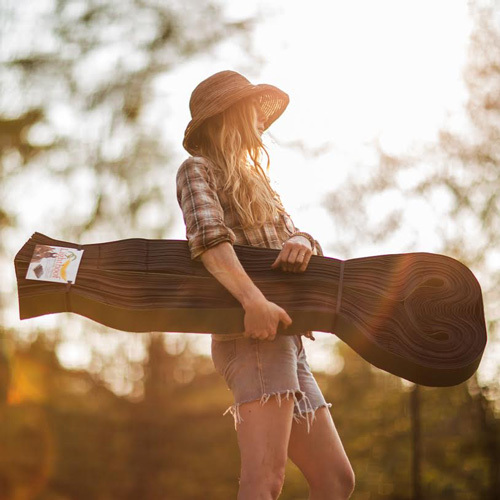 DIY friendly... Lighthoof is very uncomplicated to install and doesn't require specialized equipment or tools. 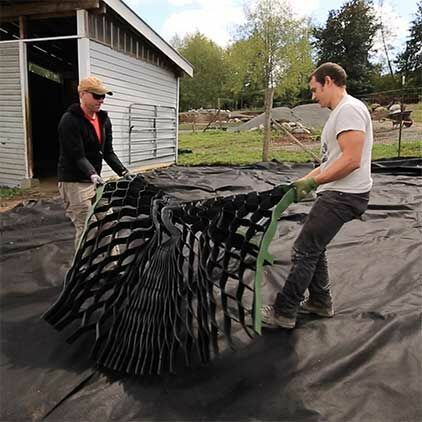 If you can't or don't want to hire someone to install your Lighthoof panels, you can roll up your sleeves, grab a rake and hammer and get ‘er done yourself! Mud-free... FOREVER! 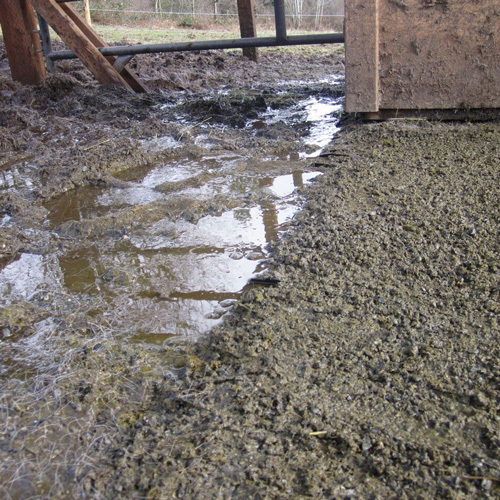 *Mud costs money - causing vet bills, maintenance, and temporary mud solutions. 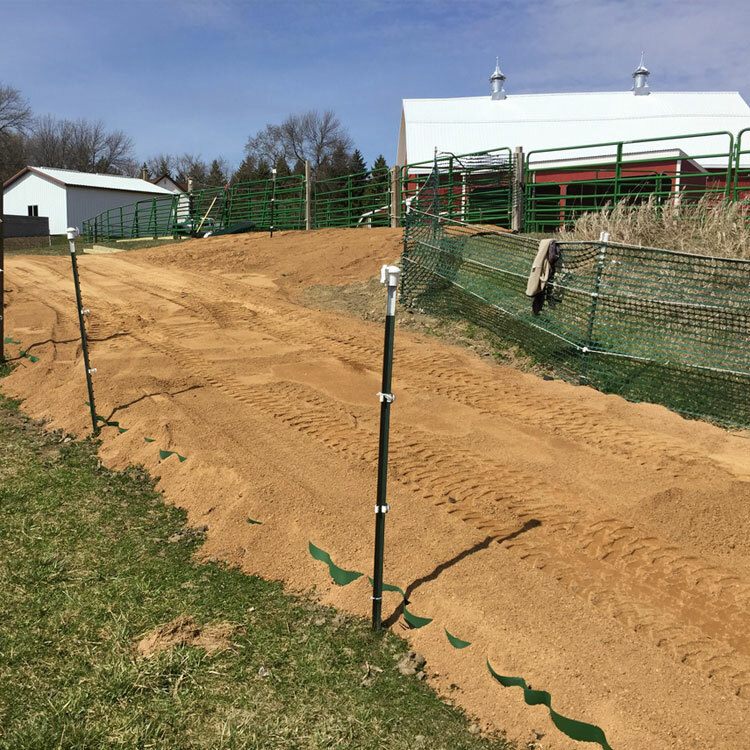 The mix should be somewhere between 30-50% fines or screenings to 50%-70% ½” angular crushed stone. *Recommendation: A good mix is 30% #10 Screenings and 70% #8 stone. 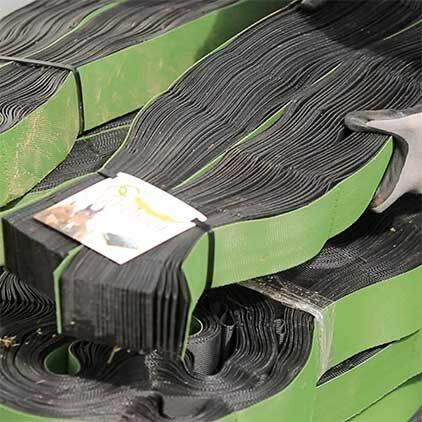 They carry the landscape fabric you will need in both 3x100 and 4x100 rolls. You will need 1-2 yards per Lighthoof panel. 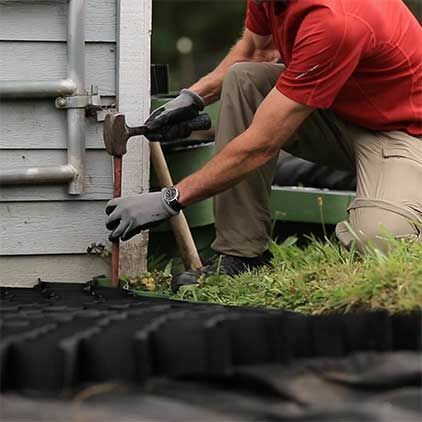 *Recommendation: 2+ yards so you have extra for any maintenance needed. Weight: 1/2 lb. per sq. ft. Shipping: This item ships at 3% of its expanded size (saving materials and your money) via either UPS or freight.